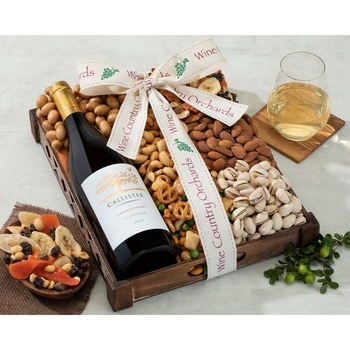 This exclusive white wine from Hobson Estate combines a fantastic California wine and savory gourmet nuts, including a chardonnay that exhibits baked pear and ripe apricot flavors. 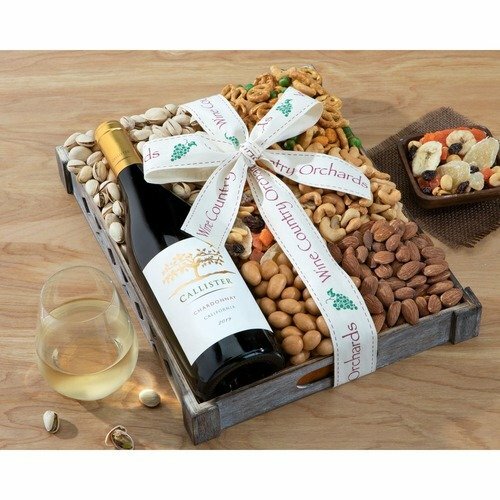 This medium bodied chardonnay is toasty and fruity and is combined with our finest snacks, they will love butter toffee peanuts, roasted and salted cashews, chili lemon corn nuts, gourmet fancy mix and smoked almonds. * Super easy form to complete - wonderful to be able to deliver to my daughter in Houston, from my home in Canada. * Excellent selection of flowers and very easy order page! Keep up the good work!